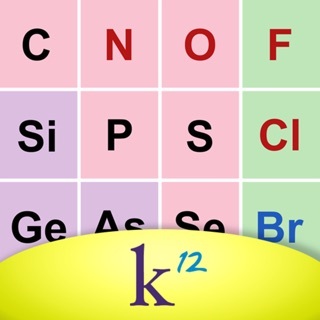 With the free CK-12 app for iPhone and iPad, you’re in control of learning. CK-12 features 5000+ math, science, and spelling lessons and concepts - all accessible anytime, anywhere. All content is created and curated by teachers, for students. 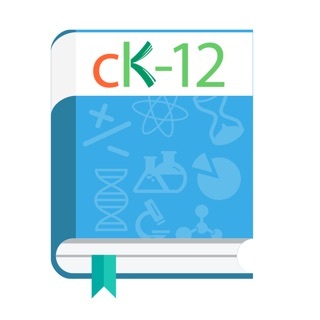 Whether you’re looking to improve your grades, or brush up on your favorite math or science topics, CK-12 has you covered - for free! We’re the go-to resource for K-12 STEM education. * Track and work on your class assignments. * Receive reminder for upcoming assignment deadlines. * Choose from a comprehensive library of elementary, middle and high school concepts in math and science, or search by keyword. * Videos, simulations, interactives, real world group activities & more! Don’t forget to check us out on social! CK-12 is a non-profit that creates and curates high quality STEM content for students and teachers around the world. The organization was founded with the mission to enable everyone to learn in his or her own way - for free. * Our app now looks awesome on the new iPhone X. * We have also made a change so that students can turn in their assignment scores for practice and quizzes just like for other assignments. Skill level does not work! Had to download this app for school and it's horrible. The skill level does not increase when I get 9 in a row, but of course drastically drops when I get an answer wrong. There have been a couple instances where the class has done an assignment but it will not submit, or the teacher cannot access out scores. Sorry for the issues you faced in the app. We have fixed the bug that prevented the assignment scores from being reported to the teacher. You can contact us at support@ck12.org if you are facing any other issues with the app.